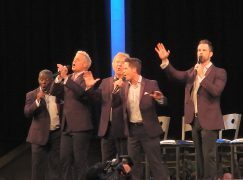 I don’t often get to attend a concert that is in my own town, but I traveled a total of 5 miles round trip recently to attend an Ernie Haase & Signature Sound concert! And it isn’t often that I am accompanied by a person who has never seen or heard the artist before. 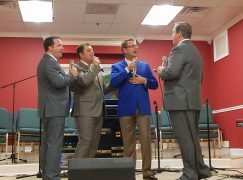 I took a friend who is new to southern gospel music and who had not even heard of this group. 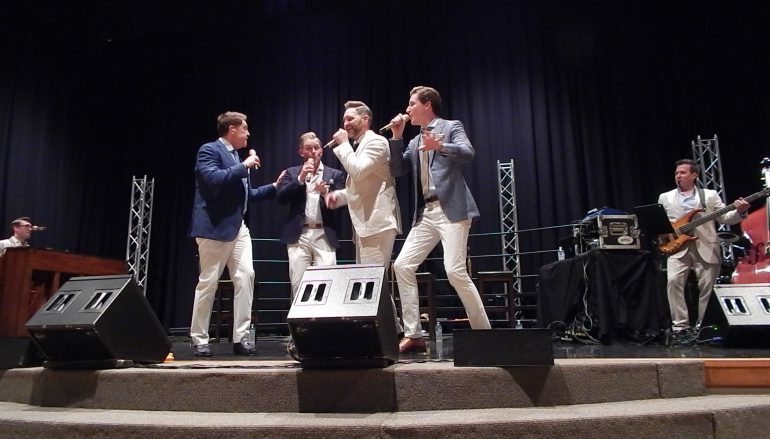 She had a fabulous time during the concert (especially on Heavenly Parade, Noah Found Grace, Get Away Jordan, and singing along with several of the hymns) and she left very happy and encouraged by their performance and the message of their songs. 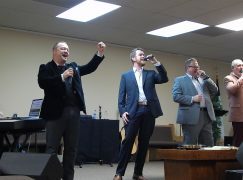 I am loving this lineup of Signature Sound, with Ernie at tenor, Devin McGlamery at lead, Dustin Doyle at baritone, and Paul Harkey at bass. Tyler Vestal on piano (and some vocals) and David Griffith on guitar and bass complete the group. Kennesaw First Baptist Church did a fine job of hosting this concert, their first attempt at having a performance like this at their church. 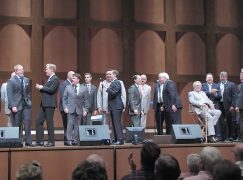 I was told by a church member that there was a lot of great cooperation between Ernie and the church to make it successful. I’m hoping this success will be an encouragement to them to continue to have this kind of event because I sure did enjoy the drive! 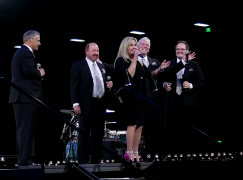 Diana is from the Atlanta, Georgia area and is a relatively recent southern gospel fan, having started listening avidly about 15 years ago. 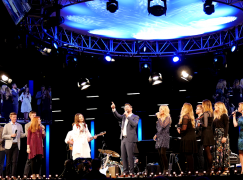 With easy access to eastern Alabama, southeastern Tennessee and north and central Georgia, Diana attends as many concerts as her schedule allows to see a wide variety of artists. Proud that the music video was filmed in Northern Ireland!